I refer to your Facebook comment of 21st November 2017, inviting me to contact you at this email address regarding my article “Some questions for Youth Food Movement Australia“. You have also not responded to the straightforward questions contained in my latest article, as referred to above. The links between YFM and the livestock sector also include the fact that co-founder, Joanna Baker, spent nearly two years (while also holding senior positions with YFM) as manager for membership, communications and policy at Dairy Connect. That organisation describes itself as “an advocacy body, 100% focused on being the voice for all partners in the dairy industry”. The other YFM co-founder, Alexandra Iljadica, was a speaker at the two-day 2016 Australian Dairy Conference, sharing speaking duties with high-profile industry participants. She was given two speaking opportunities; a plenary speech and a workshop, with the title of the latter being, “How to herd consumers toward Australian dairy: A workshop in human behaviour change”. As I said in my Facebook comments, the issues apply to much more than BeefJam, including the forced and permanent separation of cows and calves as a fundamental aspect of dairy production in all its forms (with the calves sent to slaughter or retained to become dairy cows themselves). Also the maceration (and other forms of killing) of male chicks as a fundamental aspect of supplying layer hens for all forms of egg production. I would have thought the issues I have raised would be of interest to many of your subscribers, volunteers and others who follow you, including people who have attended your “meet the maker” events (including the event with dairy and egg producers) and those who generally rely on your “food education projects”. I look forward to hearing from you in a display of your professed values of transparency and authenticity. I have written three articles dealing with Youth Food Movement Australia (YFM) and its relationships with the animal agriculture sector. Links to the articles can be found below this post, which outlines some questions for the organisation in the form of memes. Some of the memes refer to “BeefJam”, which was a project in which YFM collaborated with “Target 100”, an initiative of: Meat & Livestock Australia; Australian Lot Feeders Association; Sheep Meat Council of Australia; Cattle Council of Australia; and Australian Meat Industry Council. I’ve seen some very slick videos released jointly by Target 100 and YFM about the event that look to me like promotions for the meat industry. However, I have seen no evidence of the fifteen “young consumers” and “young producers” who attended reshaping the industry. I believe it is important for YFM to keep in mind its professed values of transparency and authenticity and its stated role of running “food education projects for young people”. Here are the memes. I hope they cause those involved with YFM to consider issues involved in food consumption beyond those that the organisation appears to have addressed to date. I believe any group that states its mission is to “grow a generation of young Australians empowered with the ability to make healthy and sustainable food choices” must highlight the issues raised in this post. I look forward to seeing if YFM addresses the issues in future. The latest campaign by Australian Youth Climate Coalition (AYCC) maintains the group’s almost complete lack of interest in the massive contribution of animal agriculture to: (a) climate change; and (b) destruction of Great Barrier Reef corals. The campaign is being run in conjunction with an AYCC branch known as SEED, which describes itself as “Australia’s first Indigenous youth climate network”. While also focusing on the Great Barrier Reef, the page highlights the impact of increasing global temperature on the production of sugar, wheat and meat. For the main “for the love of the reef” campaign, AYCC is asking participants to go without something they enjoy for around two weeks. They have specified coffee, chocolate or avocado, seemingly assuming that people like at least one of those items. Participants ask others to donate funds in recognition of their sacrifice. The funds are intended to assist AYCC’s reef campaigns. For a supposedly more difficult challenge (presumably involving higher donations), participants can take “the 3 degree challenge”, in which they go without all three of the specified products. AYCC ran a similar campaign in early 2016, with the title “For the love of our future”. Like this year’s campaign, it was run in conjunction with the “3 degree challenge”. On the challenge website (like this year), AYCC bemoaned the impact of climate change on beef production, completely ignoring the massive impact of that industry on climate change and the Great Barrier Reef. Bizarrely, they retained the comment expressing concern over the impact of climate change on beef production. I find it interesting that they seemed to assume that participants were regular meat eaters. 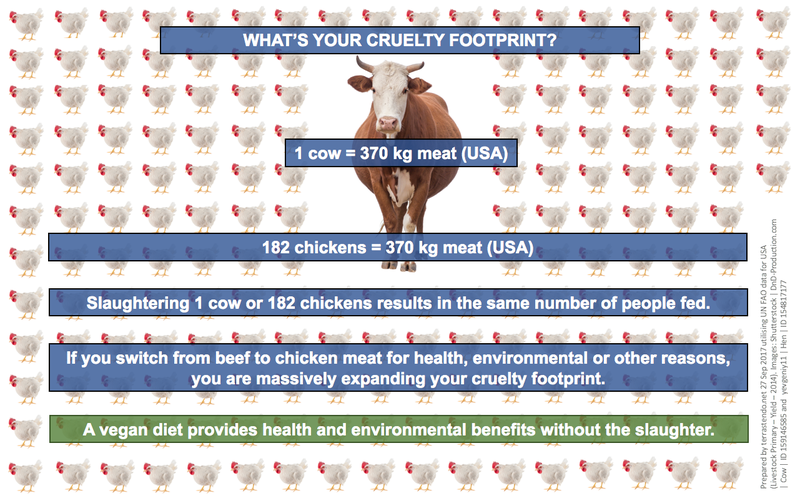 This year, AYCC has added another comment to its “3 degree challenge” page under the heading “A note on animal agriculture”. That note exemplifies AYCC’s failure to disclose critical information, as referred to below. That’s what AYCC has done on its “3 degree challenge” page. Its only reference to livestock production’s negative impacts, in a campaign that addresses climate change and the destruction of corals, relates to methane, when the relevant factors are far more extensive than that single greenhouse gas. That’s from a group whose reason for existence is to lead “solutions to the climate crisis”! Such an approach is particularly concerning on a website focusing on the Great Barrier Reef, when many additional factors destroy corals or cause them to be less resilient than they would otherwise have been to the impacts of warming waters. What is AYCC failing to disclose? 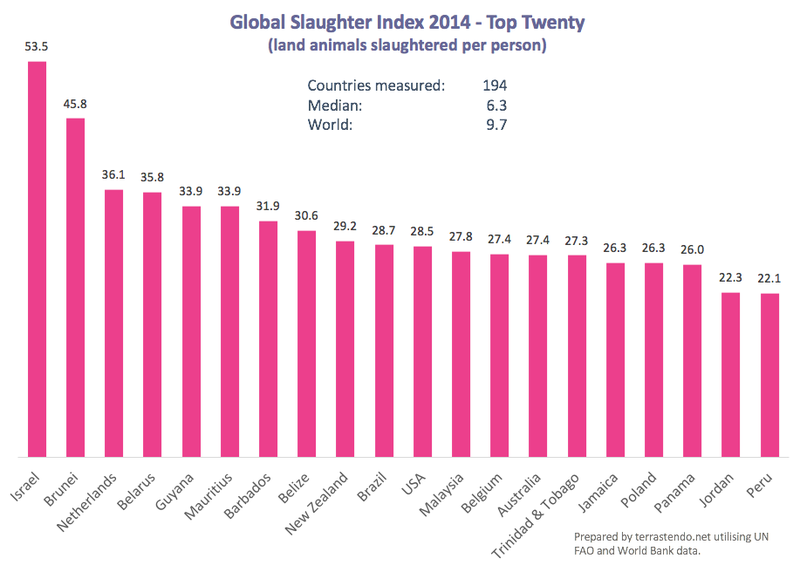 The issues have been covered extensively in articles on this site, including (in relation to land clearing and the reef) “Meat Eaters vs the Great Barrier Reef” and “Beef, the reef and rugby: We have a problem“. Here are some key points. (e) other warming agents such as tropospheric ozone (derived from precursors such as volatile organic compounds and carbon monoxide) and black carbon. It is important to note that official figures under-report animal agriculture’s overall and proportional emissions because relevant factors are: (a) omitted entirely, e.g. tropospheric ozone; (b) classified under different headings, e.g. livestock-related land clearing reported within the category “land use, land use change and forestry” (LULUCF); and (c) considered but with conservative calculations, e.g. methane’s impact based on a 100-year, rather than 20-year, basis for determining its “global warming potential” (GWP). As acknowledged by the Intergovernmental Panel on Climate Change, the choice of GWP time horizon is a value judgement. The shorter time horizon is critical in the context of climate change tipping points, beyond which we can lose any chance of influencing the climate system in a positive manner. The land clearing is a double-edged sword, as it releases carbon in the form of CO2 from soil and vegetation, while reducing the biosphere’s ability to draw existing CO2 from the atmosphere. Here’s a short video from The Wilderness Society, showing land clearing on a northern Queensland cattle station in 2014 using two bulldozers connected by a huge chain. This widely-used method was introduced in the 1950s, with devastating consequences. Reducing fossil fuel usage (which is AYCC’s focus) is an essential measure in our efforts to overcome climate change. However, even if we were to optimistically assume that global efforts in that regard will increase markedly from current levels, it would not be enough on its own. Another double-edged sword in the battle against climate change can be found in the fact that reducing fossil fuel usage results in lower concentrations of atmospheric aerosols, the existence of which has a cooling effect (referred to as global dimming). In an effort to reduce the increase in temperature that would result from a reduction in aerosols, and to reduce temperatures from their present levels, we must draw down carbon as rapidly as possible through reforestation and other measures. We must also prevent further deforestation. 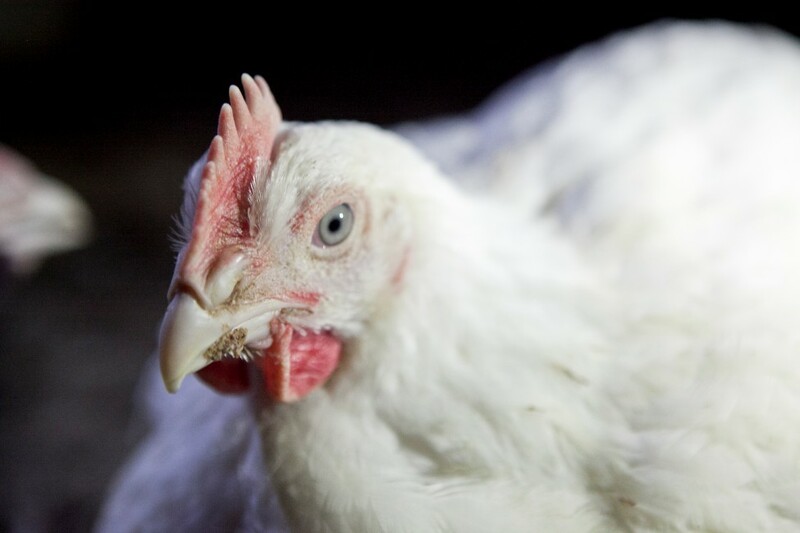 We will not adequately address those issues without a general transition away from animals as a food source. Like most climate change campaign groups that comment on the loss of coral reefs, AYCC focuses on the issue of coral bleaching caused by warming waters. Although that is a critical issue, other critical factors were affecting the reef’s corals decades before the first major bleaching event in 1998, and their destructive force continues. They are tropical cyclones and predation by crown-of-thorns starfish (COTS). As demonstrated in the following chart, 57 per cent of coral loss on the Great Barrier Reef had occurred by 1985, thirteen years before the first major bleaching event. Dr Jon Brodie from the ARC Centre of Excellence for Coral Reef Studies, James Cook University, has reported that COTS were likely to have been the main cause between 1960 and 1985. Dr Glenn De’ath and colleagues from the Australian Institute of Marine Science and Wollongong University have allocated causation between 1985 and 2012 as: cyclones 48 per cent; COTS 42 per cent; and bleaching 10%. Like fossil fuel usage, animal agriculture contributes to warming waters and cyclone intensity through its significant global warming impact. It also has other significant impacts on the reef. Erosion caused by grazing on cleared and uncleared lands has released sediment, nitrogen and phosphorus to the reef’s waters via nearby streams and rivers. The sediment blocks the sun and smothers coral, making it less resilient than it would otherwise have been to the impacts of other stressors, such as warming waters. The fertilisers promote the growth phytoplankton that are a food source for crown-of-thorns starfish larvae. Adult starfish eat nothing but coral, and have had a devastating impact. They were doing so decades before the first coral bleaching event in 1998, and the destruction is continuing. The Queensland government’s 2013 Scientific Consensus Statement reported that livestock grazing was responsible for 75 per cent of sediment, 54 per cent of phosphorus and 40 per cent of nitrogen in the Great Barrier Reef’s waters. Here’s an example of gully erosion initiated by cattle grazing on a property in northern Queensland. AYCC and other climate change campaign groups are wasting their time if they ignore the impacts of animal agriculture on the climate and the Great Barrier Reef. We face an emergency in respect of each issue, with action on animal agriculture representing a relatively fast, low-cost means of helping us to reach critical targets. It must be included in our efforts if we are to have any chance of overcoming the climate crisis and saving natural wonders such as the reef. The New South Wales government’s Office of Environment and Heritage has just announced the winners of its 2017 Green Globe Awards, which are supposedly designed to “showcase people and projects making real progress toward sustainability” across the state. This is the conservative government that passed legislation in 2016 to repeal the Native Vegetation Act, with a large increase in land clearing seemingly inevitable, involving increased carbon emissions, loss of ongoing sequestration and destruction of wildlife habitat. The repeal took effect in August this year. It was in anticipation of such law changes in NSW and Queensland (and the livestock-related clearing that would result) that the Worldwide Fund for Nature (WWF) listed eastern Australia as one of eleven global deforestation fronts for the period to 2030. The NSW government’s poor legislative performance in relation to the environment may be consistent with it naming Youth Food Movement Australia (YFM) and one of its co-founders, Alexandra Iljadica, as finalists in the categories of Community Leadership and Sustainability Champion, with Iljadica winning the latter. The main driver of land clearing in Australia and around the world is livestock production. In Queensland alone, livestock-related clearing since 1988 (when detailed records began) has represented 91 per cent of total clearing. It has equated to more than 11 million rugby fields at rates of 42 per hour overall and 50 per hour in 2015/16. Despite that appalling record, YFM supports the sector and has failed miserably to highlight its negative environmental and other impacts. The fertilisers promote algal growth that is a food source for crown-of-thorns starfish larvae. Adult starfish eat nothing but coral, and have had a devastating impact. They were doing so decades before the first coral bleaching event in 1998, and the destruction is continuing. MLA is no mug in the PR game, and has won advertising industry awards such as Marketing Team of the Year and Advertiser of the Year. It has utilised firms with expertise in PR, branding or advertising, such as: Republic of Everyone; Totem; One Green Bean; BMF; and The Monkeys, and prefers the term “community engagement” over “PR”. The promotional concepts have included “Bettertarian”; “#Goodmeat”; “You’re better on beef”; “Generation Lamb”; “The beef oracle”; “The Opponent”; and Australia Day campaigns such as “Richie’s BBQ” and “Boat People”. Republic of Everyone has also been nominated for a Green Globe Award. In addition to the “Bettertarian” campaign (launched by MLA as a “counter campaign” during Meat Free Week), its work for MLA has included graphics proclaiming the supposed health benefits of eating red meat. The evidence to the contrary is overwhelming. That’s from a firm that claims to only create projects “that make the world a better place”, where “everything is fair” and where no animals are “harmed in the making”. Why doesn’t it tell people that forced breeding, tail docking, castration and hot iron branding (all without pain prevention or relief) are all routine aspects of beef production? Why doesn’t it tell people about the true environmental and health impacts of the industry? Why doesn’t YFM do the same? MLA prefers to provide primary school children with so-called “curriculum study guides”, containing erroneous information about its members’ products. Another YFM link with the livestock sector involves Dairy Connect, a group based in New South Wales, which describes itself as “an advocacy body, 100% focused on being the voice for all partners in the dairy industry”. During most of 2014 and 2015, Joanna Baker was Dairy Connect’s manager for membership, communications and policy. While in that role, she was also in senior positions with YFM. I am not in a position to explain the motivation behind the collaborations and relationships mentioned here, but I do wonder if the Green Globes are effectively nothing more than straw man awards, with some straw man nominees. The Queensland government’s 2013 Scientific Consensus Statement reported that livestock grazing was responsible for 75% of sediment, 54% of phosphorus and 40% of nitrogen in the Great Barrier Reef’s waters. In addition to MLA, the Target 100 “initiative” involves Cattle Council of Australia, Sheepmeat Council of Australia, Australian Meat Industry Council, Australian Lot Feeders Association and Australian Meat Processing Corporation. MLA maintains copyright over the Target 100 website, and some material (e.g. the so-called “curriculum study guides”) has been released under MLA’s name. Footnote 2 added 23 October 2017 with minor text amendments. The City of Darebin (pronounced Darr-e-bin) encompasses various suburbs to the north of Melbourne, from Northcote to Bundoora and from Coburg to Alphington. It recently invited community feedback to its draft climate emergency plan for the period 2017-2022. If you are interested in seeing my response, it can be accessed by clicking the image below. This version contains a supplement with additional comments on pig meat, poultry, fish, egg and dairy products. A glaring omission from my point of view was the issue of food choices. The FAO’s latest reference period is 2010, using its updated model, GLEAM 2.0. “[Hansen, et al.] estimated a maximum sequestration potential of 1.6 gigatonnes of carbon per year through reforestation. With a conversion factor of 3.67, the estimate equates to around 5.9 gigatonnes of CO2 per year. That exceeds the annual drawdown target of 5 gigatonnes of CO2 established in a “carbon law” articulated by a group of leading climate scientists in early 2017, which they indicated would provide a 50 per cent chance of limiting global warming to 1.5°C by 2100 and a 66 per cent chance of limiting it to 2°C. Another important aspect of the exercise is that the City of Darebin intends to actively engage with state and federal governments in relation to its aims. It has said, “a key part of our program is to take action to accelerate the process of getting these governments to declare a climate emergency and commit to programs of the necessary scope, scale and speed”. Such action will provide additional leverage for the plan, including any feedback incorporated in the final version. With no time to waste if we are to have any chance of overcoming the climate crisis, it is imperative that we use all tools at our disposal in our efforts to do so. 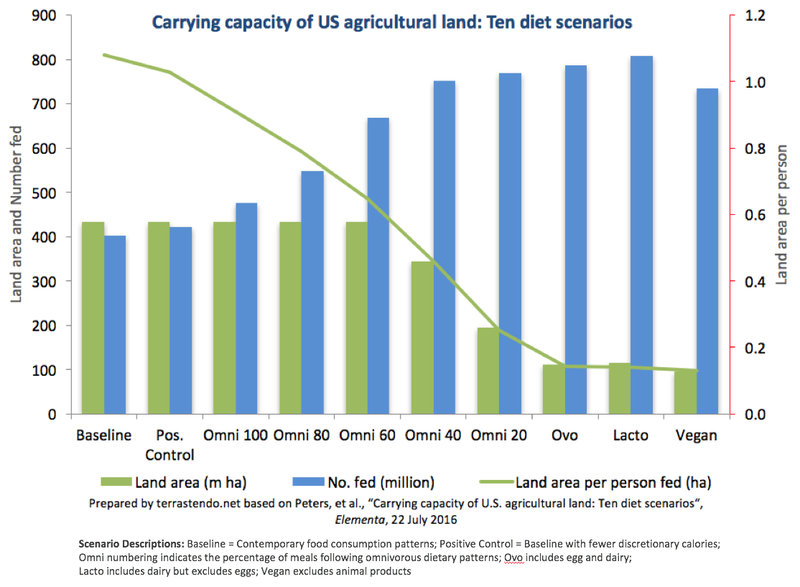 The issue of food consumption and production offers one such tool, with some elements providing rapid benefits that would increase our chances of avoiding tipping points and runaway climate change. I trust the City of Darebin includes the issue in the final version of its emergency plan, ultimately improving our ability to respond to the existential threat of climate change. The chart appeared as Figure 2 in the submission. It appears we may be witnessing the tragic demise of one of the world’s natural wonders, the Great Barrier Reef (GBR). The process has justifiably been covered extensively by media outlets around the world, with much of the coverage focusing on coral bleaching, primarily caused by warming seas. However, has that been the main cause of coral loss? It may surprise some to find that, until the past two years at least, the answer had been a resounding “no”. This article comments on the other causes. It also asks why environmental groups who campaign vigorously against the use of fossil fuels have said nothing meaningful about those other factors. A major contributing factor has been erosion from livestock grazing (including related tree clearing), which releases sediment and nutrients (nitrogen and phosphorus) to the GBR waters via nearby streams and rivers. The sediment inhibits coral growth and promotes the excessive development of algae, while the nutrients contribute to outbreaks of crown-of-thorns starfish, which have had a devastating impact. Before considering those issues in detail, let’s look at the extent to which live coral cover on the reef has declined. Let’s take the 1960s as the baseline period. Professor Jon Brodie from the Australian Research Council Centre of Excellence for Coral Reef Studies at James Cook University has reported that coral covered around 50 per cent of the reef at that time, compared to around 16 per cent in 2012. The change represented a decline in coral extent of 68 per cent. The Great Barrier Reef Marine Park Authority (GBRMPA) has estimated a minimum figure of 17 per cent, followed by some recovery between 2012 and 2015, with an increase to 20 per cent. On that basis, the decline from the 1960’s to 2012 (assuming that was the minimum) would have been 66 per cent, and to 2015, 60 per cent. If we assume that the figure of 29 per cent for 2016 applied to all GBR corals, and that the figure of 19 per cent for 2017 will be confirmed, the current extent of live coral cover (before allowing for declines caused by other factors over the past two years) would be around 11.5 per cent. It seems reasonable to assume that estimates of percentage reductions are based on the extent of coverage that existed at the beginning of the period being assessed. If so, they are calculated on what has generally been a declining base. In researching the causes of coral decline between 1985 and 2012, Dr Glenn De’ath and his co-authors (referred to earlier) assessed the relative contributions of tropical cyclones, crown-of-thorns starfish (COTS) and coral bleaching. Their results are shown in Figure 2. In a profound indication of the relative impact of COTS predation, the researchers estimated that there would have been a net increase in average coral cover if such predation had not occurred, rather than their estimated reduction of 50.7 per cent. Findings from Kate Osborne and fellow AIMS researchers in 2011 indicated there was no overall loss for the period 1995-2009, with loss in some areas and species offset by expansion in others. However, in respect of those corals that did decline, they reported COTS as the major cause at 36.7 per cent compared to cyclones at 33.8 per cent, disease at 6.5 per cent, bleaching at 5.6 per cent, with the remainder comprising multiple or unknown causes. Water quality has also been a major factor, as it affects the frequency of COTS outbreaks in the central and southern GBR. When the relationship becomes stressed due to factors such as ocean temperature or pollution, the zooxanthellae leave the coral’s tissue. Without the zooxanthellae, the tissue of the coral animal appears transparent and its bright white skeleton is revealed. Without the zooxanthellae as a food source, corals generally begin to starve. If conditions return to normal, corals can regain their zooxanthellae, return to their normal colour and survive. However, this stress is likely to cause decreased coral growth and reproduction, and increased susceptibility to disease. Bleached corals often die if the stress persists. Major bleaching events have occurred on the GBR in 1998, 2002, 2016 and 2017. Reefs can often recover from such events if given enough time, but two in quick succession in 2016 and 2017 may have caused permanent loss of large sections of the reef. The images in Figure 3, from the Australian Research Council Centre of Excellence for Coral Reef Studies, highlight the degree of impact of those two events. There is no doubt that coral bleaching is a critical, perhaps catastrophic, issue. Although De’ath et. al. highlighted the need to improve water quality and develop relevant control measures, they stressed that such measures would only succeed if climatic conditions were stabilised, as losses from bleaching and cyclones will otherwise increase. COTS are marine invertebrates that occur naturally on reefs throughout the Indo-Pacific region, feeding exclusively on coral. Certain conditions enable them to reach plague proportions and devastate hard coral communities. De’ath et. al. have reported that COTS were likely to have occurred every 50-80 years before European agricultural nutrient runoff commenced. The impact of livestock production within the reef’s catchment area is particularly relevant to the water quality issue (including sediment and nutrient discharge), as referred to later in this article. AIMS has highlighted the fact that deterioration in coastal water quality has negatively affected the function, productivity and resilience of tropical marine ecosystems. Livestock production within the reef’s catchment has been a major factor in the release of sediment and nutrients. Eroded material, including nutrients, enters streams and rivers and is then carried to the coast, and from there to the Great Barrier Reef. It is also equivalent to a tract of land 10 kilometres (6 miles) wide running between Melbourne and Cairns nearly four times! For more context, it is also equivalent to a 10 kilometre wide tract of land running 2.3 times between Los Angeles and New York. A deleterious outcome of livestock-related land clearing and livestock grazing in cleared and uncleared areas is gully erosion. “Under natural conditions, run-off is moderated by vegetation which generally holds the soil together, protecting it from excessive run-off and direct rainfall. Soils with dispersible subsoils are very common in Queensland and are vulnerable to gully erosion when the shallow layer of relatively stable top soil is disturbed. As water penetrates through early-stage erosion (referred to as rill erosion up to 30 centimetres deep), the subsoil is dispersed, leaving the topsoil unsupported. The topsoil then collapses and the process is repeated. The underlying rock will often limit gully depth to around two metres, but they can be as deep as fifteen metres in alluvial and colluvial soils. The following video provides several examples of grazing-related gully erosion in Queensland’s Fitzroy Basin, which has caused massive amounts of sediment to flow to the GBR. Mitigation efforts are highlighted, but to a large extent the damage has been done and is continuing in other areas, with potential to expand elsewhere as more land is cleared for cattle. Professor Brodie has previously reported that cattle grazing for beef production is the largest single land use in the reef’s catchment area, with cropping (mainly of sugarcane) and urban/residential development “considerably less in areal extent”. As a result, the scope for transitioning from sugarcane production to cattle grazing may be limited. To the extent the groups have mentioned COTS outbreaks and water quality issues, they appear to have avoided commenting on the contribution of diet, which is ultimately responsible for livestock production within the reef’s catchment. How can they and their organisations justify their assumed roles as defenders of the environment, while effectively choosing to ignore such a critical contributor to the ongoing environmental catastrophe? I have previously highlighted links between the livestock sector and ACF, AYCC, Climate Council Australia and others. The links include the fact that ACF’s high-tech headquarters in inner Melbourne, in which AYCC and a Greens member of the Victorian parliament are tenants, were donated to it by livestock interests. I am not in a position to comment on the links (details of which are publicly available), other than to say they exist. Other scientists are ahead of the pack on this issue, leaving Flannery and his Climate Council colleagues in their wake. Professor Terry Hughes (referred to earlier) and co-authors of a paper that appeared in the June 2017 issue of Nature, have pointed out that scientists have often ignored human behaviour as the ultimate driver of environmental change. For example, they may focus on pollution or climate change, without acknowledging that factors such as human population growth, socio-economic development, and culture and values are the ultimate cause. Hughes and his co-authors have argued that governments, non-government organisations and social movements “can actively encourage changes in social norms that lead to improved environmental behaviours” through the use of taxes, incentives, subsidies, education and communication. Governments and the groups mentioned here are failing miserably in that regard. In Australia, criticising the traditional meat-based barbecue may be considered a form of heresy, despite meat consumption being a key factor in the destruction of a global treasure and critical economic asset in the form of the GBR. Indeed, even without climate change, the reef’s demise may have been assured due to decades of relentless sediment and nutrient pollution from grazing and other properties within the reef’s catchment. Using the phrase “death by a thousand cuts”, the authors also highlighted the need to consider the interaction between multiple factors contributing to the deterioration of coral reefs. They referred to models indicating that “synergistic human impacts can reduce resilience and cause unexpected ecological collapse, even when individual drivers or stressors remain at levels that are considered to be safe”. 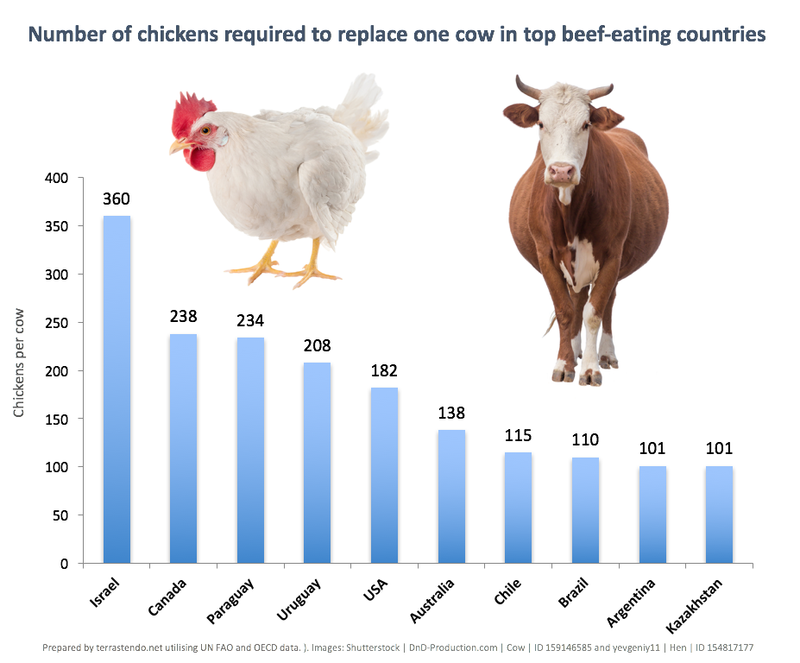 The authors focused on factors that are ignored, under-stated or attributed to non-livestock categories in the national greenhouse gas inventory. Two-thirds of Australia’s beef was exported in 2012-2013, with the figure likely to have grown since then due to an expansion of the China-Australia Free Trade Agreement (ChAFTA). As a result, modification of diet by the nation’s residents will not be enough to adequately reduce beef production’s negative impacts. At present, the environmental cost of beef production is not adequately allowed for in the price paid by the end user. Consequently, beef producers are effectively subsidised, while consumers in Australia, China and elsewhere are paying artificially low prices with no effective price signal encouraging them to purchase products with less environmental impact. To the extent that we have any chance of saving the Great Barrier Reef, it is critical that prominent individuals and groups campaigning for that purpose communicate honestly about the factors that are contributing to its parlous state. If it is too late to save it, then we must ask how and why those individuals and groups have failed to address key issues. It may be easy to feign concern and diligence while conveniently overlooking essential contributing factors, but such abrogation of responsibility will undoubtedly result in catastrophic outcomes unless others can successfully convey the truth to the point that meaningful action is taken. With that aim in mind, I hope you will help to inform others of the message conveyed in this article. Professor Hughes also indicated a figure of 30 per cent for 2016. I have assumed he was rounding up the official figure of 29 per cent, and I have used the latter. A reduction in areal extent from 20 per cent to 14.2 per cent represents a reduction of 5.8 percentage points, and from 14.2 per cent to 11.5 per cent a further 2.7 percentage points, i.e. a total of 8.5 percentage points for those two years. The reduction of 8.5 per cent represents 17 per cent of the 1960s coverage, which was 50 per cent of the reef. Due to their close proximity in terms of timing, it is possible that the 2016 and 2017 declines were both expressed as a percentage of the 2015 areal extent. That approach would accentuate the reduction, leaving 10.4 per cent in 2017 rather than the figure of 11.5 per cent indicated here, and the pre-1985 reduction being 54 per cent rather than 57 per cent. The figures will be amended if my assumptions are found to be incorrect. Either way, they would appear to represent reasonable approximations. On the other hand, media outlets have reported that half the coral has been lost in the past two years. Clearly, a 50 per cent reduction using the 1960s base figure would not be possible when around 80 per cent of that base figure had already been lost by 2015. The area represents original clearing and re-clearing, demonstrating the ability of wooded vegetation to regenerate if given the opportunity. All photos in the slideshow, other than Tim Flannery’s, are from the “Reef not coal snap action”, held in Melbourne on 5th December, 2016, and arranged by ACF, AYCC and 350.org. Tim Flannery’s image is from a video recorded on the reef, where he spoke solely about climate change. The GBRMPA has reported that, in addition to bleaching, corals during 2017 have been affected by: (a) tropical cyclone Debbie (late March 2017); (b) subsequent flooding of the Burdekin and Fitzroy Rivers and resultant flood plumes; (c) ongoing outbreaks of coral disease; and (d) crown-of-thorns starfish. Those factors may have resulted in current coral coverage being below 11.5 per cent. Animal agriculture is relevant to each, including: (i) the flood plumes resulting from eroded soils in the Burekin and Fitzroy catchments; and (ii) tropical cyclones which are affected by the sector’s global warming impact. Even if we attributed all the coral loss in 2016 and 2017 to bleaching (which was not the case), its contribution since the 1960s is likely to have been well below that of cyclones and COTS. As mentioned within the article, Jon Brodie of the ARC Centre of Excellence for Coral Reef Studies believes COTS were probably the major cause of coral mortality in the period from 1960 to 1985. A major COTS outbreak occurred in the 1960s, while the first major bleaching event occurred in 1998, so bleaching may have had no impact during that period. One paragraph has been amended to clarify the fact that erosion from cattle grazing occurs on uncleared, as well as cleared, land (consistent with many of my previous articles). All photos in the slideshow, other than Tim Flannery’s, are from the “Reef not coal snap action”, held in Melbourne on 5th Dec 2016, and arranged by Australian Conservation Foundation (ACF), Australian Youth Climate Coalition (AYCC) and 350.org.